Becs is the editor of deliciousmagazine.co.uk. She is always hungry. It’s too hard to choose this month, so I’ve been cheeky and chosen three things – no, four! 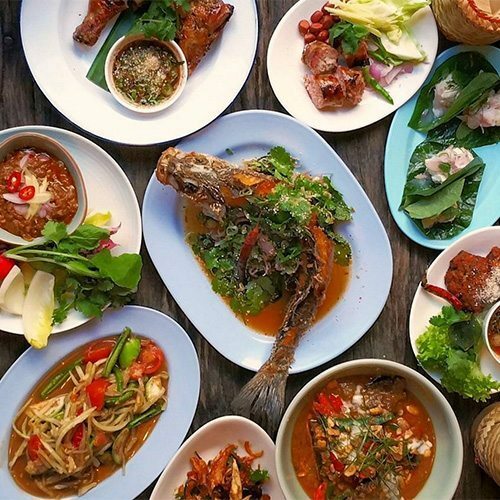 Top of the list was the much-Instagrammed whole fried sea bass at chef Andy Oliver’s new Thai restaurant Som Saa in London’s Spitalfields. It’s quite a scary-looking dish – it almost looks as if the fish is coming to get you – but the taste is so good you end up picking every last, delicate morsel from the bones. 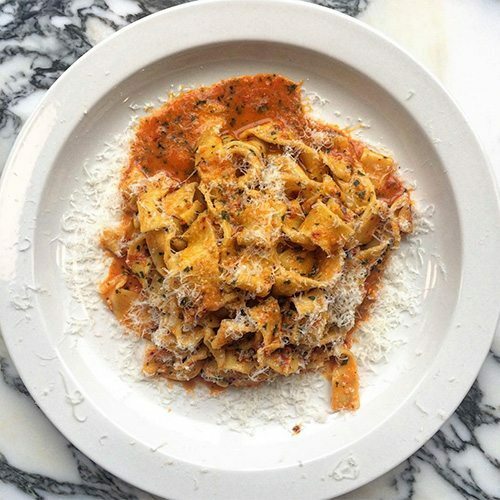 Second on the list was a duck ragù at L’Anima restaurant cooked by the new head chef Antonio ‘Lello’ Favuzzi, closely followed by a taste of my friend’s ‘nduja (soft, spicy sausage) pasta at Padella in Borough Market. Padella is a joy of a restaurant – all steamy and buzzy, with an open kitchen – just down the road from our office in Borough (yes, we are lucky). 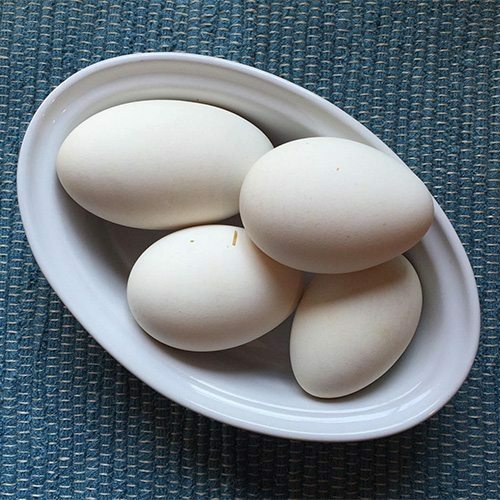 Oh, and I’ve forgotten about the boiled goose egg. We were sent four by Blackacre Farms in Somerset, and one of them was so enormous it took 10 minutes to soft-boil. That on a toasted slice of Richard Bertinet’s new seeded sourdough bread (available from Waitrose) was a lunch to remember. Black Axe Mangal, a ridiculously popular, Turkish-inspired hole-in-the-wall spot in London’s Highbury Corner, has reinvented the kebab. The flatbreads are made fresh, cooked in a huge bread oven whose heat permeates the small room, which pulsates to the noise of 80s-era metal (Motley Crue, AC-DC, Motorhead) and the toppings go way beyond the ‘all-the-s***’ clichés. As does the bread, for that matter. 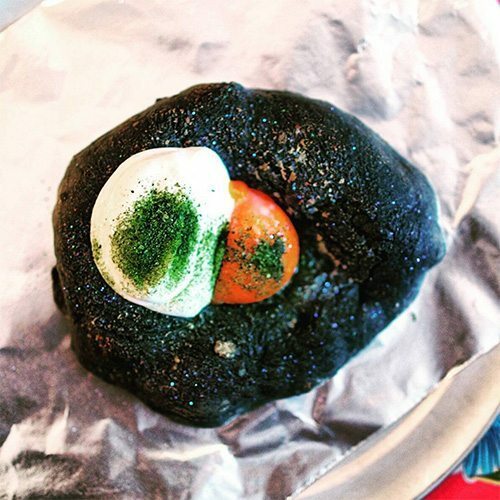 My squid ink flatbread was a case in point. It may look like a giant cowpat, but the squid ink delivered an umami hit that was complemented nicely by the whipped cod’s roe and bright-yellow egg yolk. The glitter? Purely decorative. Possibly one of the most Instagrammed dishes in the capital at the moment, but none the worse for that. 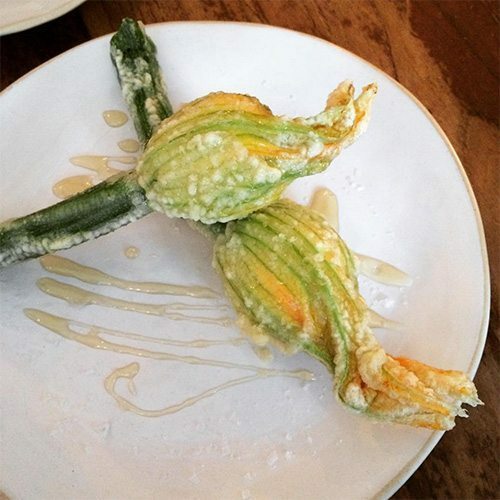 Tempura battered courgette flowers stuffed with ricotta and drizzled with honey at Twist at Crawford in Marylebone. 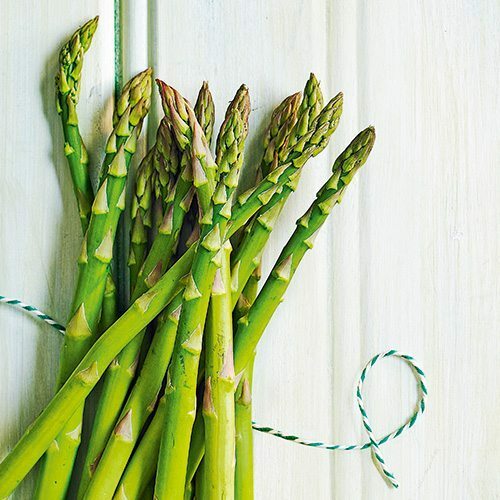 The freshest asparagus from the market in Cotignac dipped in homemade beurre blanc, snatched off the table straight after we shot it on location. 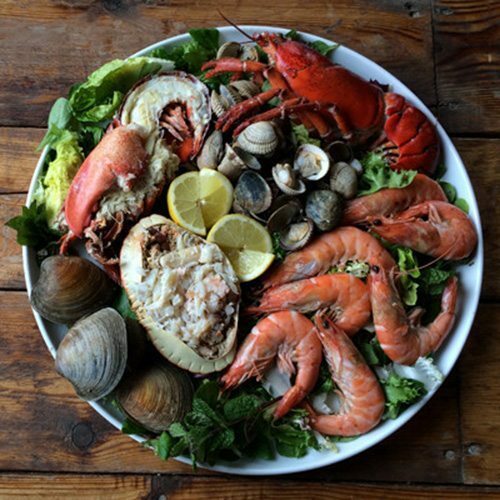 A mix of fresh seafood from Colchester Oysters and delivered to my home… Oysters, crab, prawns and smoked salmon that had been soaked in sherry and all washed down with a glass of South African chenin blanc. I had some grilled octopus at Hotel Cort in Palma, Majorca, that that was charred, tender, salty and succulent. 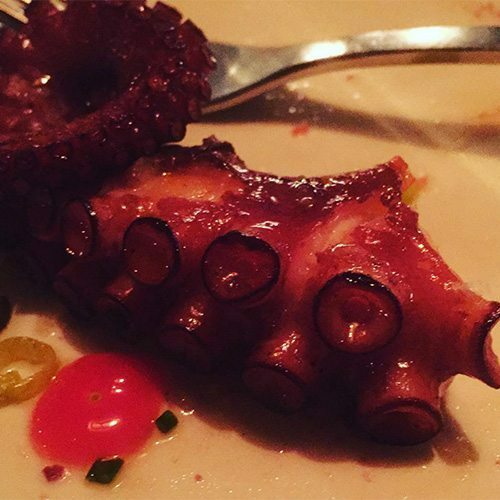 They hadn’t disguised it or fancied it up – it was great slabs of octopus, warts (or suckers or whatever they’re called) and all, and it was all the better for it. It was served with an olive purée in a little bowl but I didn’t even get round to that – some things don’t need an accompaniment and this was one of them. 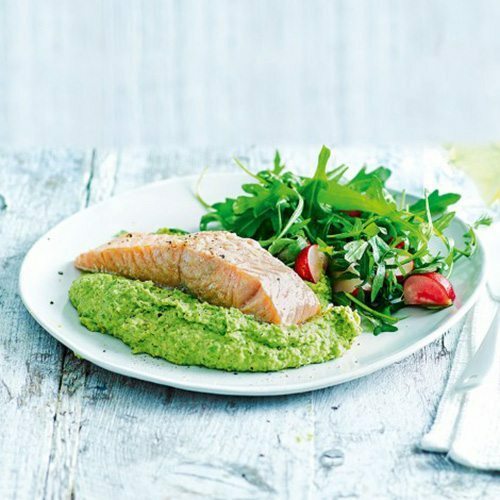 Pan-fried salmon on pea purée with samphire – the samphire stems popped in the mouth giving a salty hit to the sweet purée. The best thing I’ve eaten in May is the first barbecue of the year, cooked by my hubby-to-be! 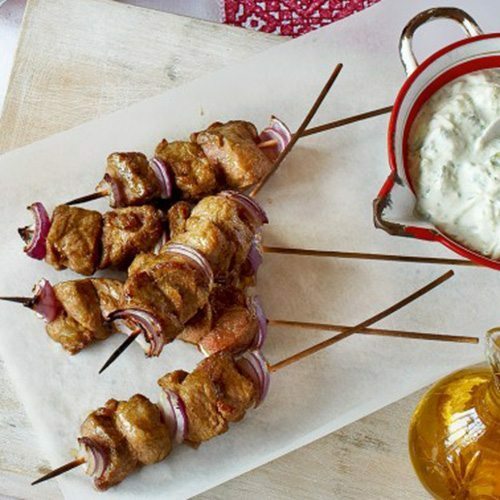 Greek-style chicken souvlaki with grilled corn and tzatziki to whet our appetites ahead of our Santorini honeymoon next month. I couldn’t possibly choose one thing. 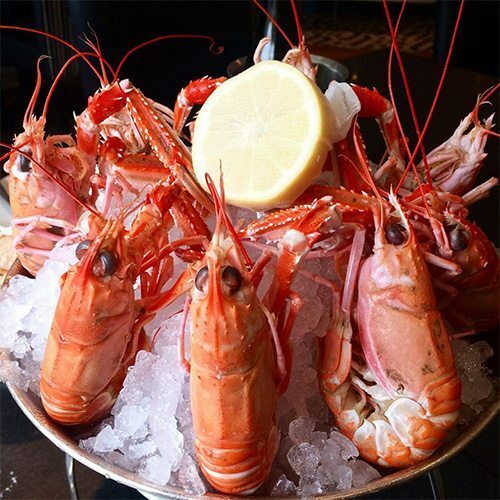 In Edinburgh I had the biggest, fattest, juiciest, meatiest, freshest langoustines at Ondine. 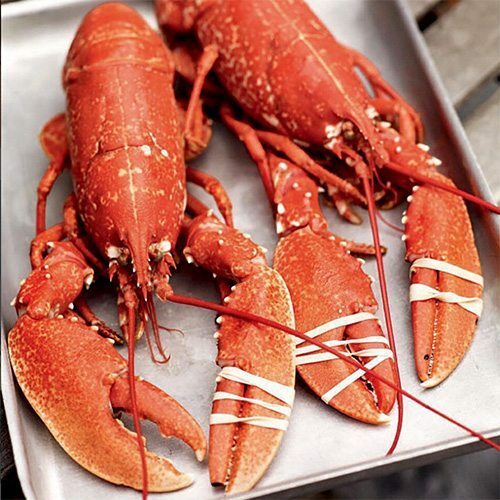 I have never tasted seafood so good. But then, in San Sebastian, I had the most incredible pintxos and lots of them too. 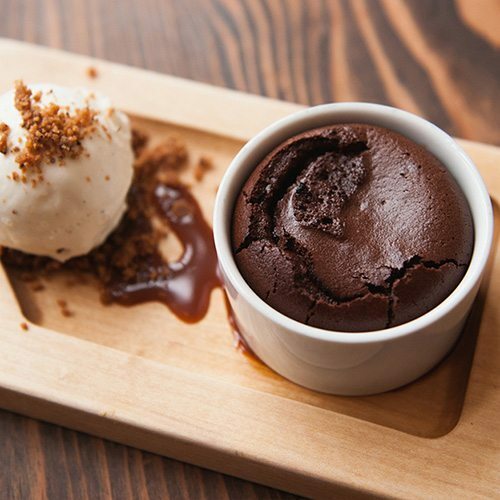 The best thing I ate in May was a molten chocolate cake from Hot Cakes in Seattle, Washington. It’s like cutting into a hot chocolatey volcano. If you’re ever in Seattle this cakery is a must-visit. 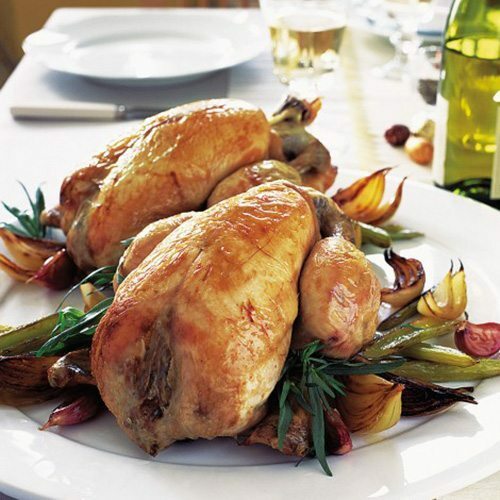 The best thing I’ve eaten this month was a roast chicken that had been stuffed and surrounded with 40 cloves of garlic, fresh herbs and lemon. We ate pieces of the perfectly cooked, juicy chicken with a crisp green salad and mopped up the confit garlic, lemon and chicken fat with baguettes. Absolute heaven.